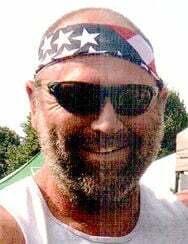 Mathew Scott Fassett Sr. BROOKFIELD — Mathew S. Fassett Sr., 51, of Cemetery Street, passed away Tuesday, Jan. 22, 2019, at his home. Born in Barre on Sept. 18, 1967, he was the son of Sheridan Fassett and Mary (Pirie) Andrews. Mathew received his GED when he joined the Army Reserve in December 1986, receiving an honorable discharge in November 1994. Mathew worked at Rock of Ages from 1986 to present day, as a driller in the granite quarry. Mathew married his wife, Christine Johnson, for the second time on June 11, 2010, in Missouri. Mathew was an avid bowler, enjoying the tournaments and leagues at the Twin City Bowling Alley; he was a member of the “Destroyoers,” a Dragonheart Vermont boat racing team, and a member of the Snap Fitness Gym. He enjoyed lifting weights with his father and spending time with his family, especially his many grandchildren. Survivors include his wife, Christine, of Brookfield; four daughters Jennifer and husband Jeffrey Paronto, of Hinesburg, Ashley Fassett and significant-other Adam Kingsbury, of Barre, Milinda Fassett and significant-other Daniel Camley, of Enosburg Falls, and Nathalie Fassett, of Barre; two sons Mathew Fassett Jr. and significant-other Stephanie Hekler, and Kyle Fassett, of Barre; his father, Sheridan Fassett and wife Jan; four sisters Roxanne Pratt, Tina Dow, Marybeth Cochran and Tanya Libby; three brothers Mark Fassett, Shannon Fassett and Edward Andrews IV; 12 grandchildren; several nieces and nephews. He was predeceased by his mother, Mary Andrews; sister, Tammy Fassett; and his stepfather, Edward Andrews III. A celebration of his life will be held on Saturday, Feb. 2, 2019, starting at 11 a.m. at the Moose Club in Williamstown. Please bring a dish and stories to share. There will be no calling hours. Burial will be held at a later date. Donations in Mathew’s name may be made to the Dragonheart Vermont, P.O. Box 65301, Burlington, VT 05406-9712 or through their website: https://dragonheartvermont.org/product/dragnheart-donation. Arrangements are in the care of the Pruneau-Polli Funeral Home, 58 Summer St., Barre. Those wishing to send online condolences may be do so at: www.pruneaupollifuneralhome.com.